Winter mornings are beautiful; the dewy grass, foggy sky and piping hot masala chai. But as much as I love the season, I dread it for the beauty woes it brings along with it, particularly hair fall. It’s hard to put in words my struggle with hair fall over the years. From undergoing various salon treatments to using expensive hair products claiming to bring respite, I have tried it all. Yet none of them have brought me any luck. And just when I was giving up, I discovered a miraculous natural ingredient that seemed promising to bring back my crowning glory. Guava leaves, yes, that’s right! Growing in abundance around you, these leaves have the ability to stop hair loss and make it grow back with vigour. Even if you are suffering from minor hair loss at the moment, you must not neglect it. Having to deal with it when it gets severe is not only stressful but expensive as well. So why not opt for a natural remedy that work’s great and is cheap at the same time? Like they say, prevention is better than cure. Guava leaves are as great as the fruit, which is credited for being a powerhouse of nutrients and is widely popular too. Just like the fruit, the leaves too contain vitamin B and C, which help boost collagen activity required for hair growth. While most of us are unaware about the health benefits of guava leaves, it has been traditional medicine for centuries in Mexico and parts of South America. Including guava leaves in your regular hair care regime can help you see substantial hair growth. Besides its 100% natural, which mean that you needn’t worry about any harmful reaction. 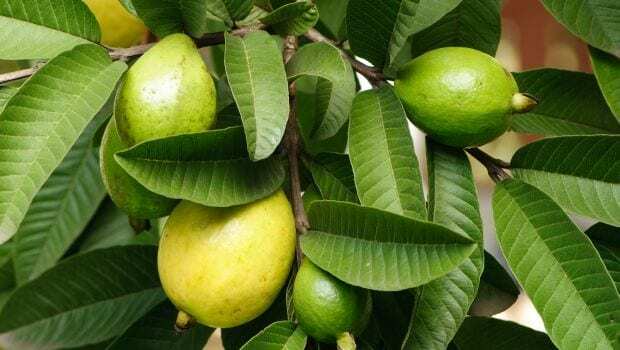 You can use guava leaves to make a cup of tea and drink it regularly or make a lotion to apply it on your hair and scalp. Follow the steps below to make your very own guava leaf hair care solution that will battle hair fall and promote hair growth. All you require is a handful of guava leaves, one litre of water and a pot for boiling the ingredients. 1. Start by boiling guava leaves in water for 20 minutes, strain the concoction and let it cool down to the room temperature. You must ensure that your hair is product free, so it might be best to use this solution after showering. 2. Once your hair is almost dry, section it and start applying the guava leaf solution. Massage the solution into your scalp for at least 10 minutes and ensure that it’s well spread. Massaging improves blood pressure, which helps the follicles receive more nutrition. 3. Pay extra attention to the roots and tips while you apply the solution. You can leave this solution on for up to two hours. Optionally, you can wrap your hair with a towel and sleep with it. 4. Rinse your hair with lukewarm water, and not hot water as it dries out your hair and scalp. 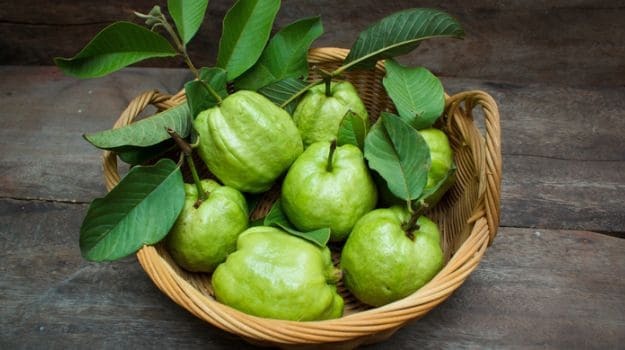 Apart from this amazing remedy, eating guava supplies a number of vitamins and minerals to the body, and the unique constituent of this fruit also promotes better absorption of nutrients from the food, which helps in treating hair and scalp problems.